“SASS” stands for “Syntactically Awesome Stylesheets”. It is a preprocessor for CSS, which means that it compiles to CSS. It extends from CSS3, which means it can do everything CSS3 can do, and more! In fact, any valid CSS3 you write is also valid SASS. All the extra features of SASS are optional to use, which makes it easy for CSS coders to get started with SASS. Note: There are two syntaxes for SASS: SASS and SCSS (or “Sassy CSS”). SCSS is the more popular option, as it mimics the syntax of regular CSS with curly braces. SASS syntax uses indentations only instead of curly braces, which requires much more careful formatting. One of the most important principles in software and development is “Don’t Repeat Yourself,” or “DRY” for short. People sometimes like to say “keep your code DRY” — this is what they are referring to. We want to keep our code DRY because it keeps things organized and understandable, and helps us avoid confusion. It gives us a single location where we can edit code that is reused in many places. Vanilla CSS does not offer any way to keep your code DRY. It forces the user to rewrite or copy/paste the same code, over and over again. This is bound to make your code hard to maintain, especially when you need to make a change. SASS offers many features that help to keep your code DRY. These features are explained below. You can reuse the same variable as often as you like in your code. By doing so, you will no longer have to update your CSS attributes in several different places. It’s now controlled in one single location. Use @include where you want to insert your mixin. Mixins will heavily clean up your code and prevent you from repeating yourself. @extend allows you to reuse code inside different selectors, so that you don’t have to target a selector more than once, neither will you repeat yourself. This is perhaps the most useful feature of SASS. This code creates the following result. Notice how “button-success” inherits the same styles, besides the background color. The abovementioned features are what will allow you to keep your code DRY. 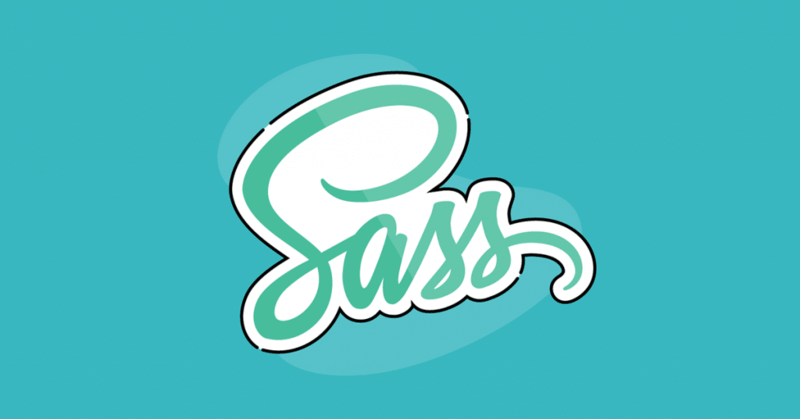 Below are a couple more helpful features that make SASS worth using. Nesting your code will allow you to mimic the structure of your HTML. It is best practice to avoid over-nesting your code, otherwise your output CSS will be bulky. Use this only when you need it. Instead of having one large CSS file or having to make several HTTP requests to different CSS files on your site, you can use @import to divide up your SASS into separate, more manageable files called partials. This allows you to keep your code more organized, while only needing one HTTP request after the SASS code is compiled to CSS. SASS has heavy support online, with tons of available resources and documentation. It is also used in many of the front-end frameworks such as Bootstrap and Foundation. SASS isn’t going away. As an essential tool for developers who want to write the best CSS code they can, SASS will keep your code DRY, organized and highly more capable. Located in Southern California, Alex Burtson is a designer / developer at Share Web Design. His interest include coding, UI, design, and some other stuff too.